Alabama leads the nation in FORTIFIED construction with more than 1,000 homes designated to meet the program’s high standards. FORTIFIED is a set of engineering and building standards designed to help strengthen new and existing homes through system-specific building upgrades that will reduce damage from natural hazards. The standard is based on over 20 years of scientific research and real-world observations by the Insurance Institute for Business & Home Safety (IBHS), an independent, nonprofit, scientific research and communications organization supported solely by property insurers and reinsurers. Much like the Insurance Institute for Highway Safety that tests vehicles, IBHS tests construction methods, products and systems in their state of the art research center in South Carolina. There, they put entire buildings through a variety of real world situations, including winds up to 130 mph, rain, wildfire and hail, to learn how to build them better and stronger so they are more disaster-resistant. In 2009, the Alabama legislature passed SB500 (Act 2009-500), recognizing FORTIFIED as the state standard for resilient construction and providing the Alabama Department of Insurance (ALDOI) the authority to regulate benchmark, or minimum, homeowners wind insurance premium discounts for FORTIFIED homes. These discounts apply to insurance companies admitted to do business in the state. Many non-admitted, or specialty insurers, also honor the discounts. Alabama’s interest in FORTIFIED construction began after the devastation brought by Hurricanes Ivan and Katrina, and the insurance crisis that followed. After witnessing their communities devastated, and in some cases completely destroyed, a group of concerned local Gulf Coast citizens began an effort to find a way to avoid that type of destruction again. This group went on to found a Mobile, Alabama-based not-for-profit organization called Smart Home America (SHA) in 2009. The founders of SHA researched many options for building stronger and lowering insurance rates when they identified the FORTIFIED HomeTM program as the way forward. It’s common sense upgrades and third party verification provided an added level of consumer protection and minimal cost increases to gain the most benefit, and disaster protection, for homeowners. When a home is certified to meet the program’s standards, it is issued a certificate called a “Designation.” Designations are attached to a home’s address and last 5 years before renewal is required. The FORTIFIED program began to gain traction in the state over the past few years, specifically in Mobile and Baldwin Counties, thanks to several factors. Many jurisdictions in both counties began adopting updated building codes and a code supplement, created by Smart Home America. The code supplement incorporates FORTIFIED recommendations into local building codes. Homeowners in these communities must also go through the FORTIFIED programs third-party verification process in order to qualify for insurance discounts. 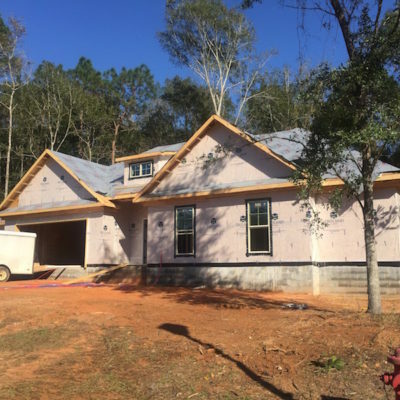 Habitat for Humanity affiliates along the Gulf Coast of Alabama and Mississippi played a large role by undertaking several proof of concept, FORTIFIED projects and showed that FORTIFIED is affordable at every price point. The first home was built in 2010 in Fairhope, Alabama and now all Habitat affiliates along coastal Alabama and Mississippi build their new homes to meet the FORTIFIED HomeTM Gold standard. A big boost to adoption of the program came in July 2014 when the ALDOI, along with the insurance industry, increased benchmark discounts for the standard. These discounts now range from 20 to 50% off a homeowner’s wind insurance premium, depending on the level of FORTIFIED chosen. Since this increase, the state has seen exponential growth in the number of homes earning a FORTIFIED Designation. Over the past 7 months alone, since April 2015, the state has seen Designations grow at a rate of 137%. To further help homeowners, the State will launch the Strengthen Alabama Homes grant program for Mobile and Baldwin County homeowners to help retrofit their properties to the FORTIFIED standard. The program will begin accepting applications in early 2016. Strengthen Alabama Homes will be managed by the ALDOI and is funded through a fee increase for insurance companies that do business in the state. Since recognizing FORTIFIED as the state standard for resilient construction, additional legislation has supported disaster mitigation solutions. 2012 saw the passage of up to a $3,000 state tax deduction for homeowners who mitigate their homes, as well as the ability for homeowners to establish Catastrophe Savings account, which can help to pay for out of pocket storm-related damage costs. During the 2015 legislative session, Alabama legislators passed a suite of bills to help strengthen communities. Senate Bill 254 will expand discounts for FORTIFIED construction statewide by 2018. Senate Bill 220 established the PIER Act (Property Insurance and Energy Reduction), which, through property assessments, can allow business owners to retrofit their properties to better withstand storms and flooding, build tornado safe rooms and install energy efficient upgrades. Finally, House Bill 92 funded the Strengthen Alabama Homes program. Builders, insurers, code officials, legislators, elected officials and supporters will gather November 20 at the site of a future FORTIFIED home. The event, co-hosted by Smart Home America and Coastal Alabama Partnership, will recognize the progress to date, partners involved and provide insights into the future growth and impact of the FORTIFIED program.